Dr. Ikwunga Wonodi is an adult psychiatrist at Sheppard Pratt, and serves as the Service Chief of the General Adult Inpatient Unit at the Ellicott City campus. He completed his residency at the University of Maryland/Sheppard Pratt residency program, and earned his MD at the College of Health Sciences at University of Port-Harcourt. 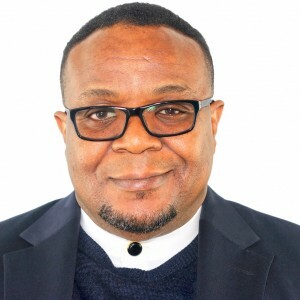 Dr. Wonodi is a member of the American Psychiatric Association, the Maryland Psychiatric Society, Black Psychiatrists of America, and the Nigerian Medical Council. He has extensive experience in research in psychotic disorders such as schizophrenia, medication-induced movement disorders, psychopharmacology of ethnicity, and clozapine treatment in special populations. He is board certified in general psychiatry. Dr. Wonodi is an Adjunct Associate Professor, Department of Psychiatry, Maryland Psychiatric Research Center, University of Maryland School of Medicine. He is currently an M.B.A. candidate at the Johns Hopkins Carey School of Business. Patchan K, Vyas G, Hackman AL, Mackowick M, Richardson CM, Love RC, Wonodi I, Sayer MA, Glassman M, Feldman S, Kelly DL. (2018). Clozapine in Reducing Aggression andViolence in Forensic Populations. Psychiatr Q, 89(1):157-168. Wonodi I, McMahon RP, Krishna N, Mitchell BD, Liu J, Glassman M, Hong LE, Gold JM. (2014). Influence of kynurenine 3-monooxygenase (KMO) gene polymorphism on cognitive function in schizophrenia. Schizophr Res, 160(1-3):80-7. Hong LE, Thaker GK, McMahon RP, Summerfelt A, Rachbeisel J, Fuller RL, Wonodi I, Buchanan RW, Myers C, Heishman SJ, Yang J, Nye A. (2011). Effects of moderate-dose treatment with varenicline on neurobiological and cognitive biomarkers in smokers and nonsmokers with schizophrenia or schizoaffective disorder. Arch Gen Psychiatry, 68(12):1195-206. Wonodi I, Stine OC, Sathyasaikumar KV, Roberts RC, Mitchell BD, Hong LE, Kajii Y, Thaker GK, Schwarcz R. (2011). Downregulated kynurenine 3-monooxygenase gene expression and enzyme activity in schizophrenia and genetic association with schizophrenia endophenotypes. Arch Gen Psychiatry, 68(7):665-74.